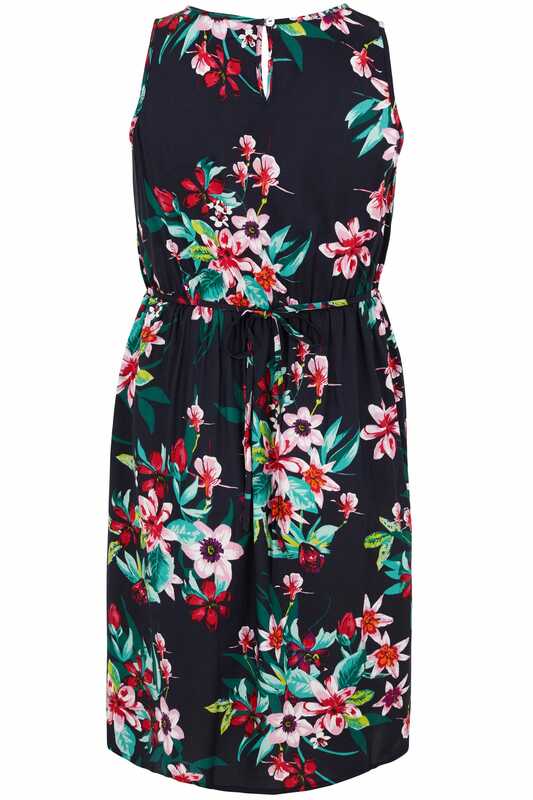 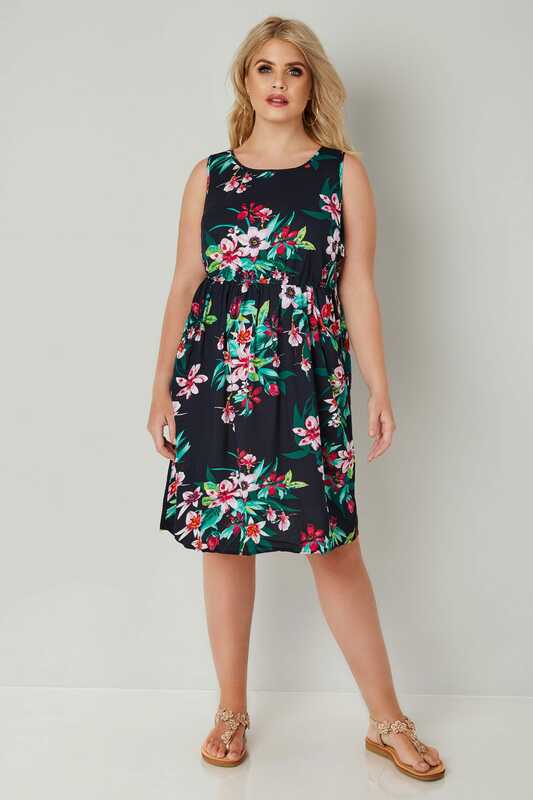 In an on-trend floral print, this stylish dress features an elasticated waist to create a flattering hourglass shape. 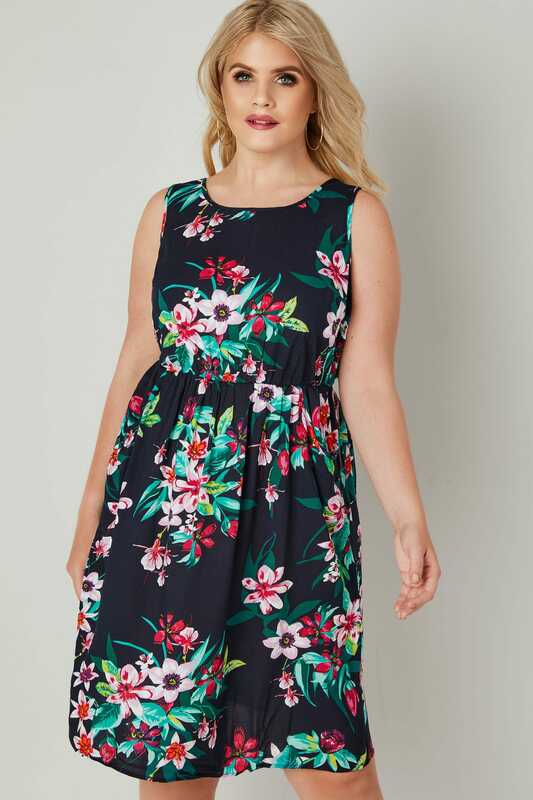 Serving as a staple during the warmer months, it can easily be dressed up or down and is perfect for both work and the weekend. 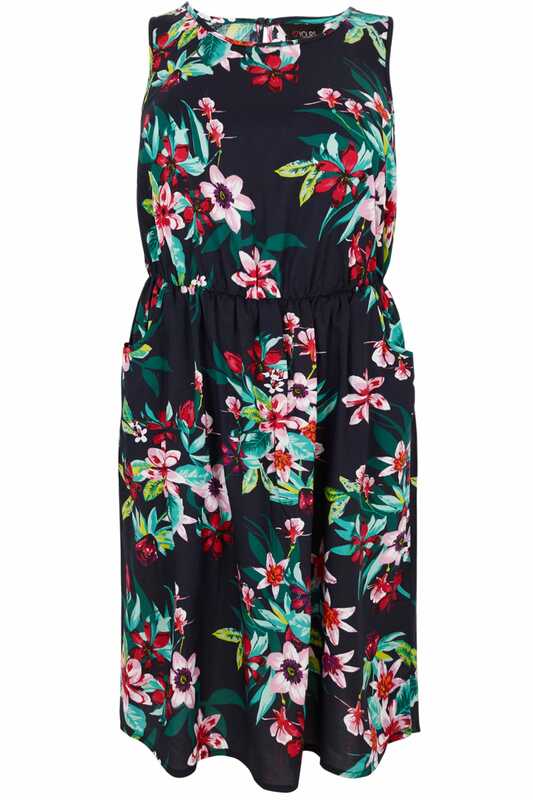 We are loving the multicoloured print, it's totally on-trend this season.